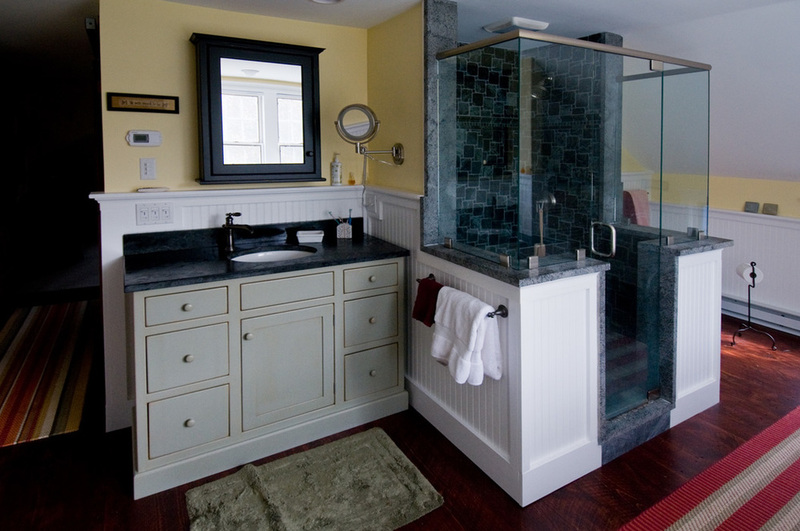 Bathrooms: We can build a bathroom that combines glamour and functionality. 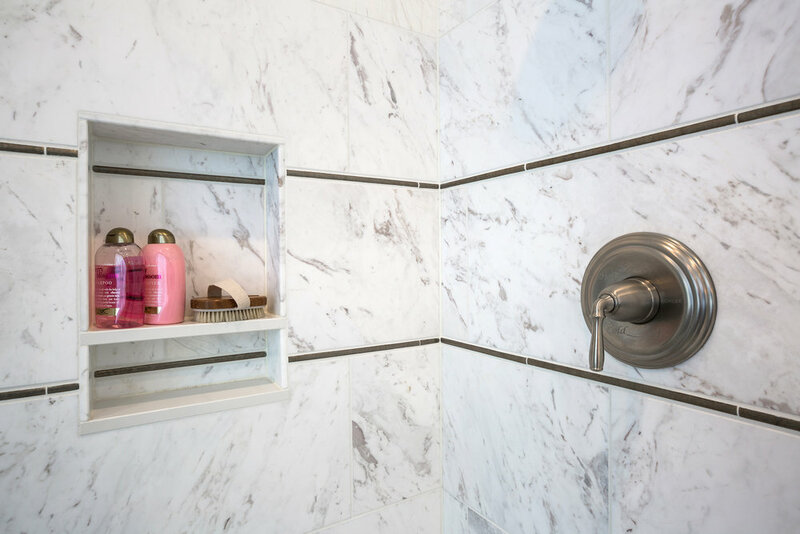 Whether a spa retreat, a personal imaginative space, contemporary or traditional (or a hybrid of both), we can create your bathroom with innovation, design, and value. 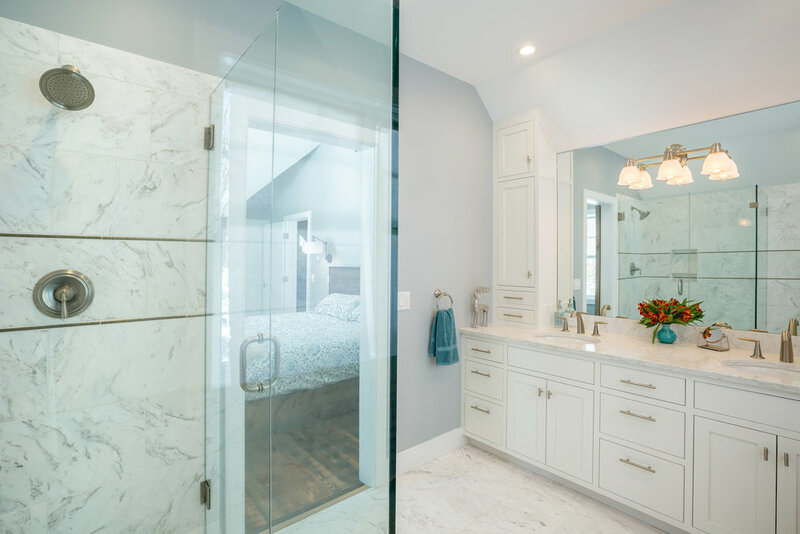 Everything from bead board for a traditional look to a curbless shower perfectly installed, we pride ourselves on meticulous workmanship for this vital room in your house. 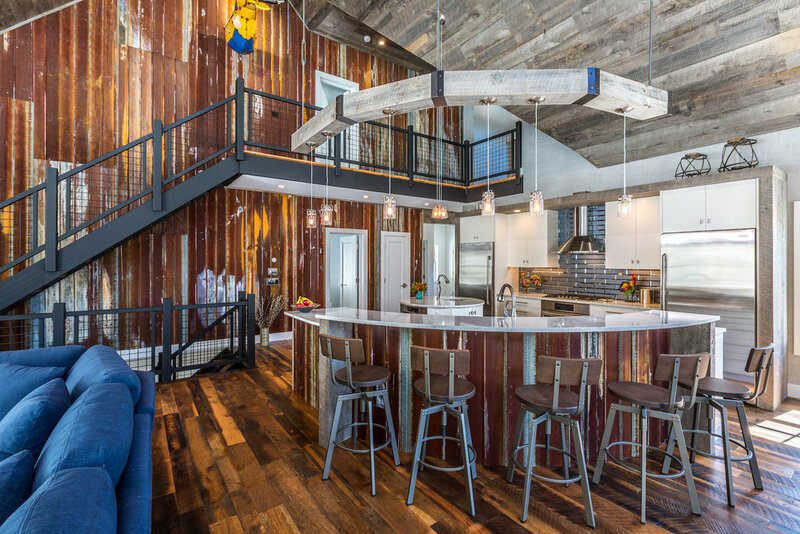 Kitchens: The kitchen is the literal center of your home. 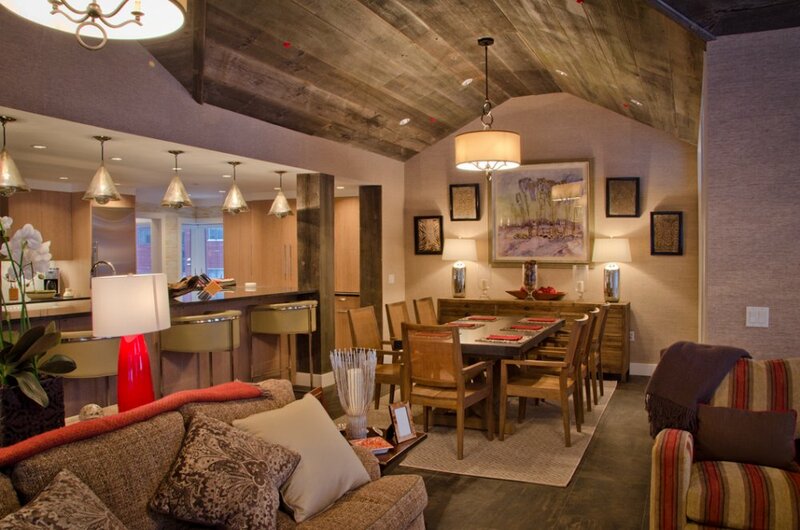 It is a place for the family to gather and to entertain your friends. 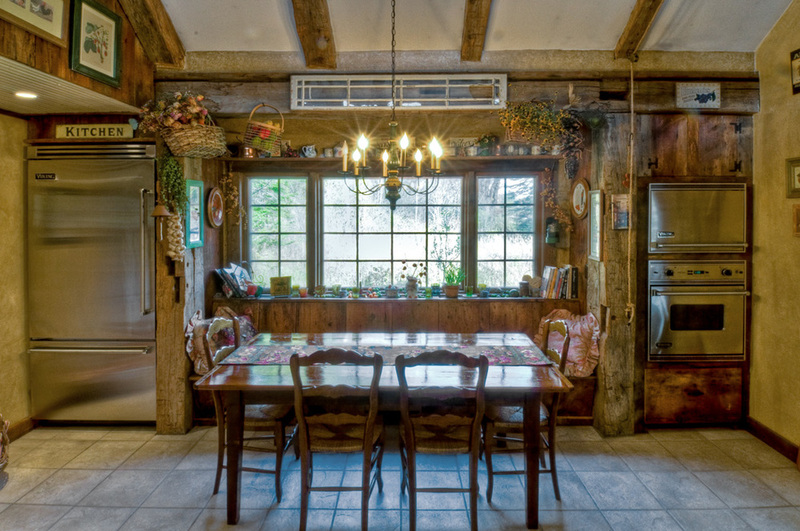 It can be a communication hub and a gathering place while meals are prepared. 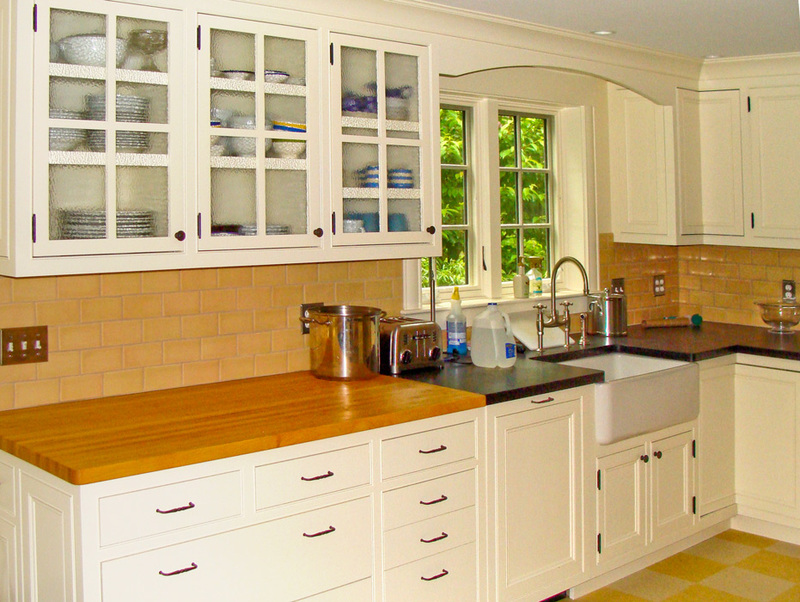 We understand the need for clean and environmentally sound design while integrating efficient cooking space. Pete does all the built-ins personally, and their beauty reflects Pete’s passion. Tile: Whether you chose art tiles to accent your living space or mass produced tiles in a functional bathroom, we can deliver a uniquely beautiful look for your home. 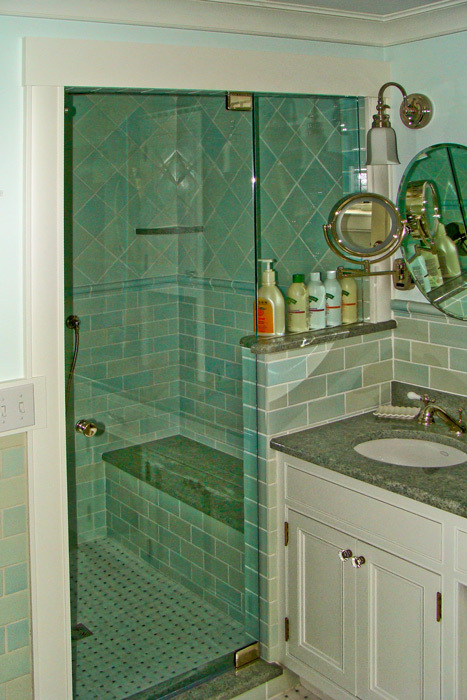 We specialize in using tiles creatively for focal walls or creating a special space in your bath. 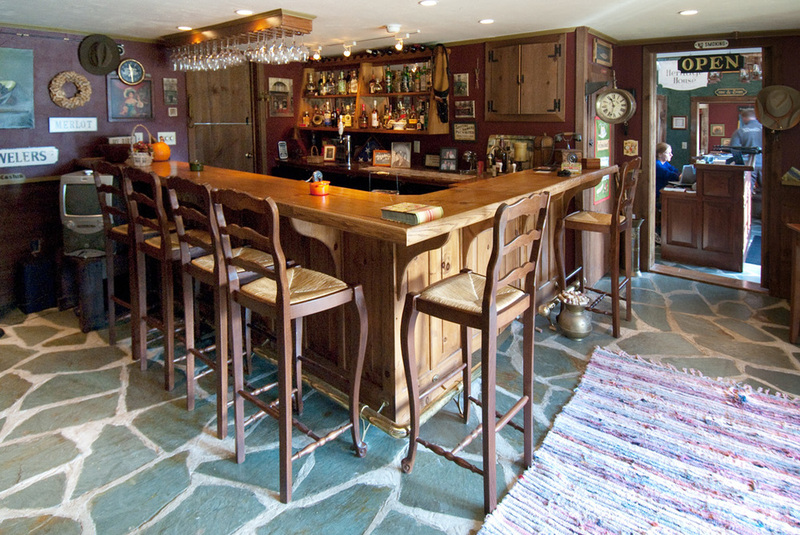 While we enjoy using Vermont products, we will work with any tile from anywhere. Pete’s brother is our master tiler, and every job he does is a work of art. 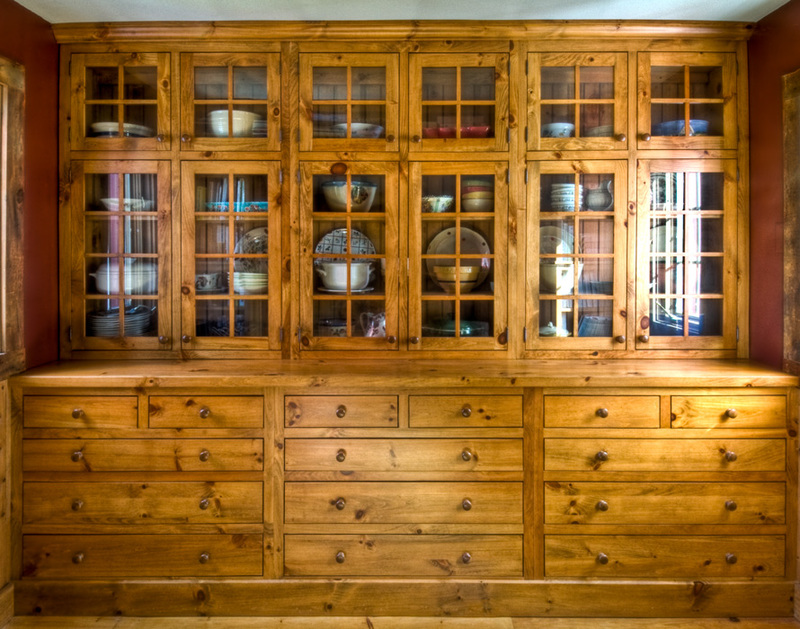 Custom Built-ins: All of our built-ins are handcrafted by Pete himself. 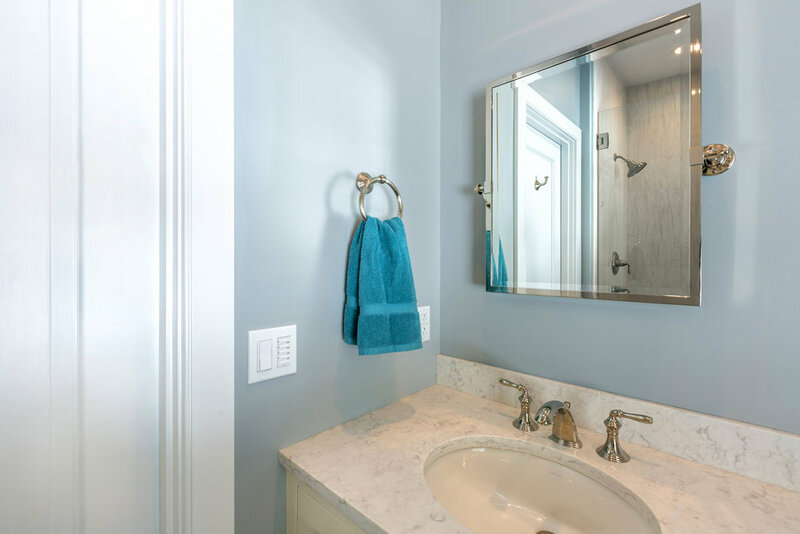 Working with beautiful woods tying together architectural elements, maximizing storage space in bathrooms, concealing appliances that might interfere with the aesthetic of your kitchen, or creating a recessed work station, built-ins can provide the functional grace notes in a home. Pete will customize your built-ins to suit your needs and your lifestyle.